Having wanted to do a homebrew class at a library for years, I finally got it done. I think it’s important to include programs that introduce lifelong learning at any age and on any topic (that is legal and ethical of course). 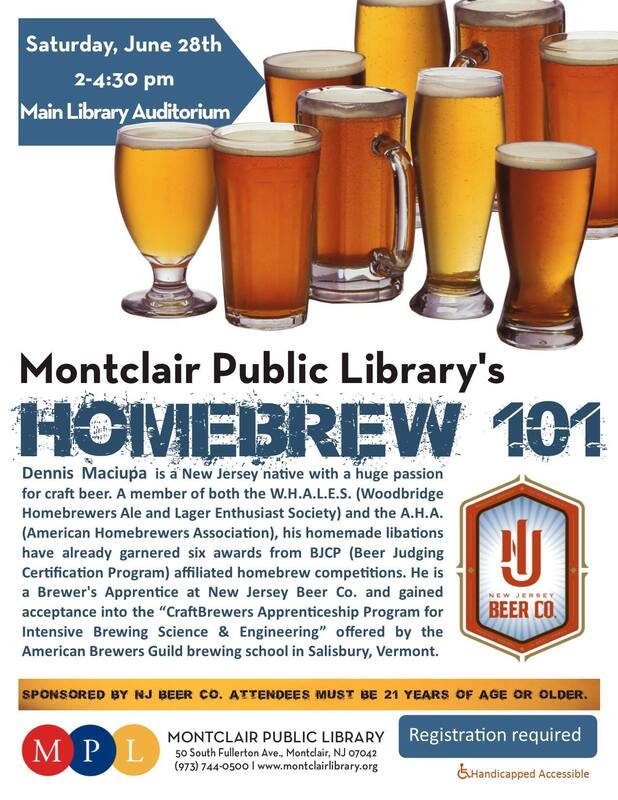 Compared to typical educational programs for adults, a homebrewing program has a better shot at re-introducing the library into the lives of those 20-40-somethings who don’t have a relationship with us. Thanks to NJ Beer Co’s Dennis Maciupa (their Brewer’s Apprentice) and Paul Silverman, and a colleague who came in on a day off in support of beer, the program had patrons engaged and entertained. It didn’t take too much work and the greatest expense was the $150 social affair permit. We had 27 people attend. I made it registration required so that we could keep it more intimate; but registration is new for adult programs at the library and this isn’t the first time that more people just showed up. I had to turn them away as well as field phone calls all morning explaining that we were full. Cheers to having another program this fall/winter! I was glad to help, and I didn’t just come in for the love of beer!